Built grandiosely in Italian Renaissance style in 1894, the Berlin Reichstag went up in smoke after being mysteriously burned in 1933. It fell into ruins during World War II and was almost forgotten by history. When the Berlin Wall fell in 1989 and it was decided a year after that the German capital will be transferred from Bonn to Berlin, it then became definite that the Reichstag building will be brought back to life. It was the prestigious architectural firm of Sir Norman Foster, Foster + Partners who was commissioned to do the renovation. 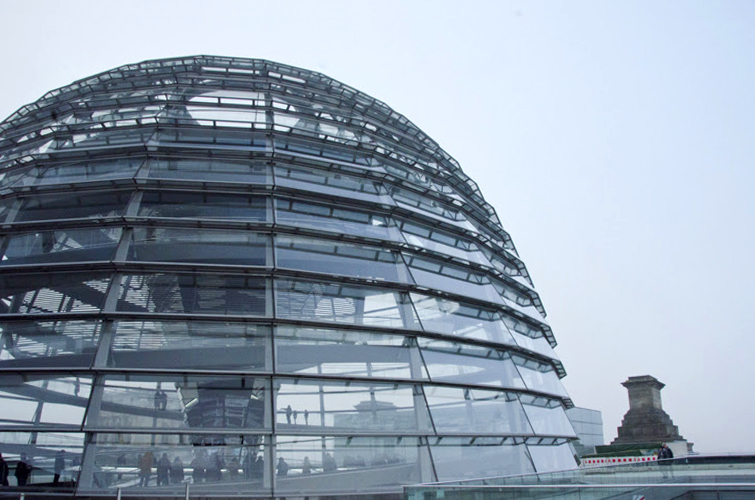 In 1999, the new Reichstag building was unveiled to the public. The building still retained its Classic architectural design but with a modern twist. It is now topped with an ultra-modern Cupola (dome). The Cupola is made of a metal dome and transparent glass. 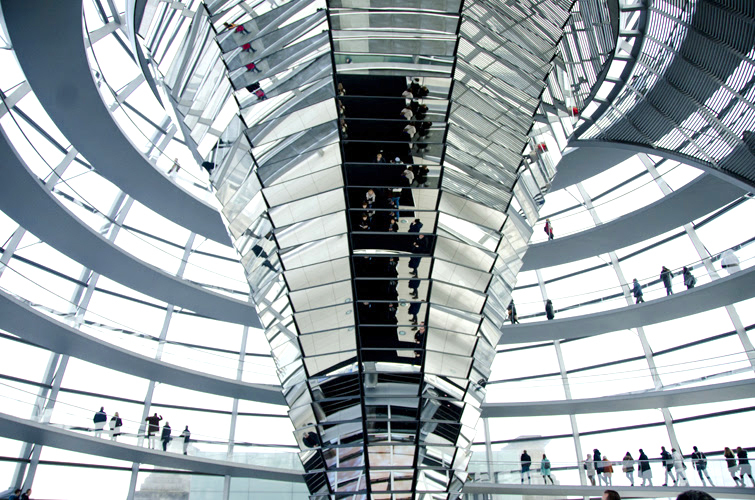 It has a sleek swirling walkway which offers an amazing 360 degree perspective of Berlin. 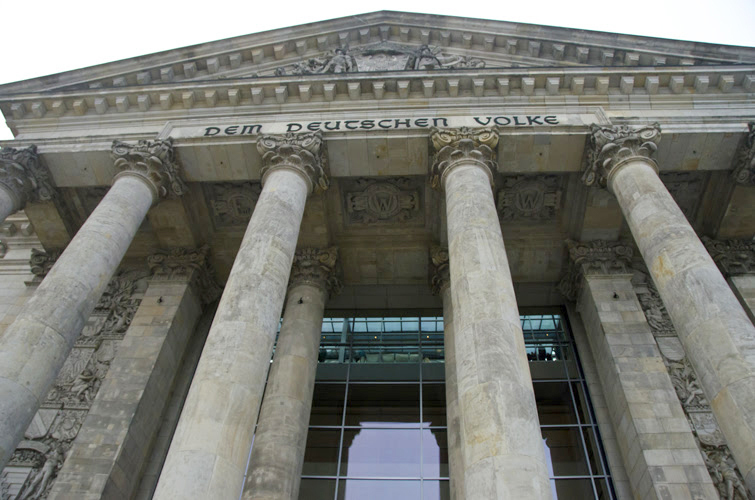 It also offers visitors an opportunity to take a glimpse of the Parliamentarians in action when the Bundestag is in session. 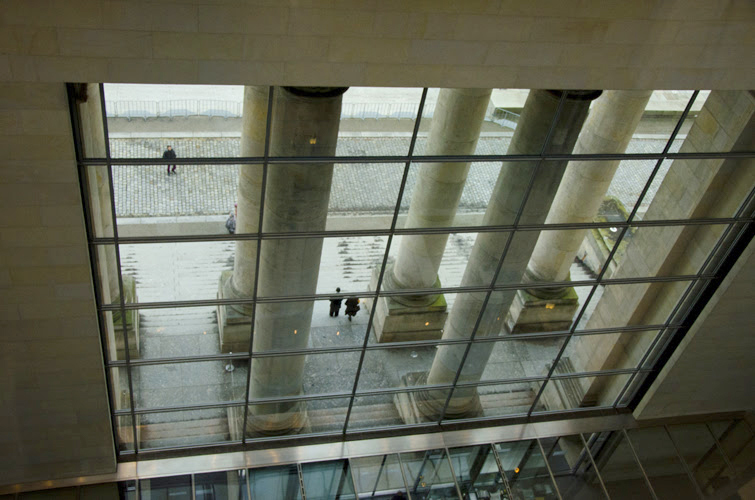 Another outstanding feature of the Reichstag is its use of passive design. Passive design means it uses natural conditions like climate and daylight for its lighting, ventilation and temperature control. The designers studied the route of the sun so its transparent glass dome brings in natural lighting into the space. An additional energy source is locally produced rapeseed oil as biofuel for the building’s energy needs. 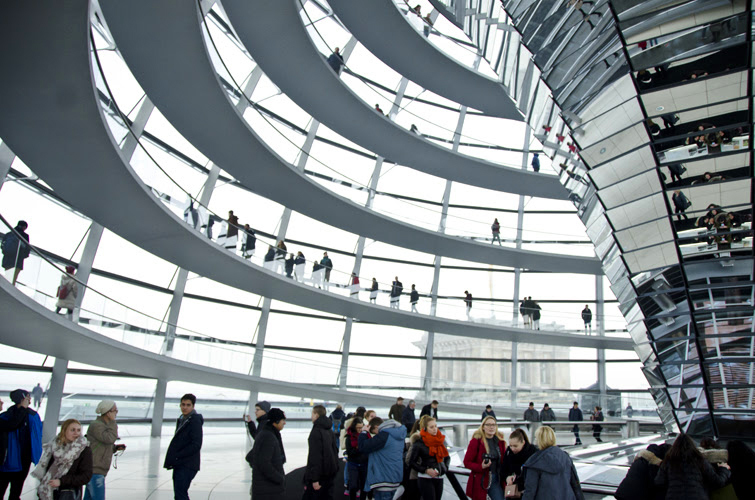 The Berlin Reichstag is not only an architectural feat but it is ecologically sound as well. As a result, it was certified as a LEED (Leadership in Energy and Environmental Design) Silver building. Visitors to Berlin can take the opportunity to marvel at this building free of charge. One must only pre-register online at least two days before. Or for those people who want to do it spontaneously, one can go directly to the service center on Scheidemannstraße to see if there are available slots for visiting. It is definitely worth your time. Citadel is a mother to four daughters, but the third one already went back to heaven. She captures photographs of the present moment, which she will use as a time machine in the future. Nature inspires her, which is a common theme in her photographs. She makes her own natural remedies and also practices Reiki healing.